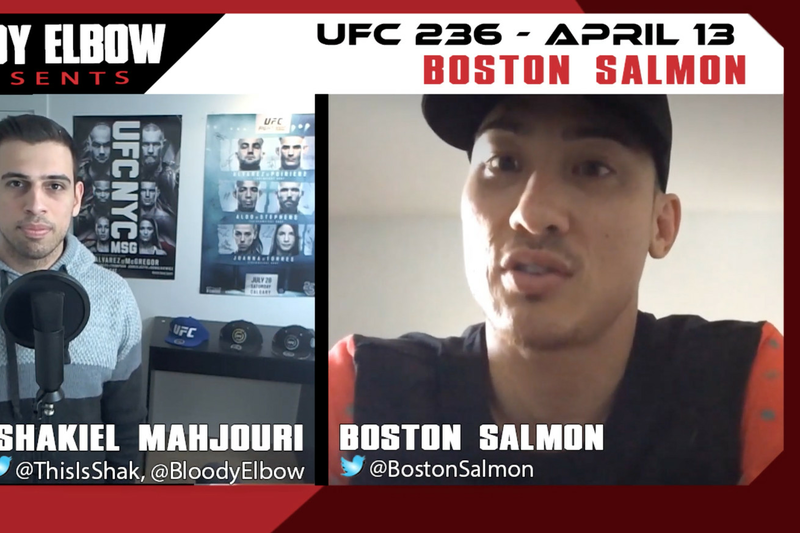 UFC 236’s Boston Salmon talks about growing up in Hawaii. An old and violent Hawaiian tradition of assaulting white people served as the foundation of Boston Salmon’s boxing career. Salmon brings his impressive amateur boxing credentials to UFC 236 in what is his highly-anticipated UFC Octagon debut. The first-ever contract recipient on Dana White’s Tuesday Night Contenders Series told Bloody Elbow how this old tradition pushed him into boxing. Fellow Hawaiian fighters Max Holloway and Yancy Medeiros have often preached the love and unity present in the island state. Salmon says “Beat Haole Crap Day” began dying out around the time he was in school and that, these days, Hawaii has a much different culture. Salmon fights Khalid Taha in a bantamweight bout at UFC 236. The event takes place at the State Farm Arena on Saturday, April 13. Keep up with Bloody Elbow for live highlights, updates, and results on all of the night’s action.